Q&A: How Did You Deal with Baby’s Remains? I think that it’s a common challenge, accepting crisis-mode decisions once the crisis is resolved and all the other nuanced feelings seep back into our awareness. 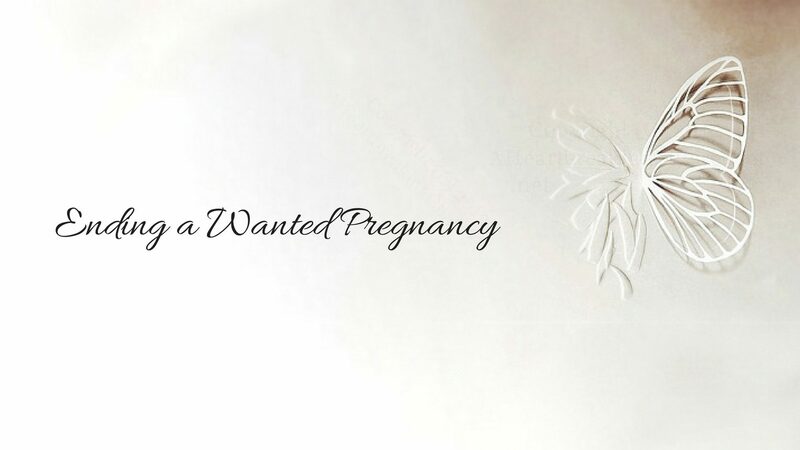 Have a question for Ending a Wanted Pregnancy? Email us. We asked our support group members to share their answers to these questions: How did you handle your baby’s remains? Is there anything you wish you had known earlier, or wish could have been done differently? There are no “wrong” answers to this question. Note: This may be a sensitive or “triggering” topic for some, especially the newly bereaved. For those who wonder, hospitals do deal with remains in a respectful manner in the absence of specific instructions from patients. My wife had a D&E and we opted to have a direct cremation. The hospital staff provided us with a folder of information that included a list of local funeral homes with whom the hospital works. The hardest part was when I had to call around to funeral homes to find out pricing. Explaining our story—albeit briefly—was excruciating. It took about a month to get her ashes back due to inclement weather in DC. They came in a tiny white box with her name on the side. We do not know yet if we want to spread them anywhere—we lost her only about two months ago. We want to keep her close at least for now. I’d like to add that we also got hand and footprints as well as a “certificate of life” from a social worker. They had our daughter’s full name printed on it. The hospital staff tried very hard to acknowledge the depth of our loss and grief. I buried one. It was both necessary and awful. A few years later with my next loss, the hospital said they’d take care of it and I agreed. I had too much to deal with to handle the details. To this day, I don’t want to know what happened. The child was gone. All I asked of the hospital is that they deal with the remains in a respectful manner and they assured me they would. We had a D&E at 14 weeks. Retention of remains was not even presented to us as an option. We requested footprints, but were told not to expect them as the procedure is very “destructive.” I wish I had known I could have asked for remains because I would have liked to cremate. A few days after my procedure, we got a “thinking of you” card from one of the staff at the clinic…inside were my son’s footprints. That’s all I have left of him, and I’m so happy we asked for the footprints, as hard as it was to ask for them. I hadn’t really considered the various options before my D&E. When the hospital asked me what I wanted to do, I felt unprepared to make a decision. I think I was still in some shock. I suppose I wish I had thought about it more ahead of time, but I don’t know that I (nor my husband) could have handled it at the time. I wound up leaving this part in the hands of my mother. I knew she was going to arrange for burial, but it wasn’t until a year or maybe two later that I asked for more information and learned that she was buried by my Grandmother (who also lost a child, a young daughter, many many years ago). For me this brings some peace; there is some comfort in knowing that they are together. We had a D&E at 20 weeks and 6 days. We got our daughter’s hand and footprints. We got in contact with a funeral home and had them pick up her remains and she was cremated. We had a private family memorial service for her. I chose to leave my son behind to be cremated. I never saw or held him in my arms. I only took hand and footprints home. I don’t know why, but it helped me and still helps me very much to only have the memories that I do. We said our hellos and our goodbyes while he was as close as he could be to my heart. And that’s where I keep him now. We had the ashes returned to us. We buried the ashes over my father-in-law’s grave, who our surviving twin was named after. We donated our fetus for research. Both my husband and I instantly gravitated toward that option. We were in such a sad moment, but we were grateful for the medical progress that allowed us to know our child would have severe Cystic Fibrosis, and to have a choice, so it felt especially right to give whatever we could back to the cause of science, however vague. I was ready to let the hospital handle it but my stepmother insisted they be buried in a Jewish cemetery. I wasn’t emotionally able to think about it at all and so she contacted my in-laws who contacted my mom and together they took care of it. I had no idea where they were but six weeks after they were gone when my sanity was on the verge of disappearing, I called my mom and asked, and visited them the next day. I’ve been back three times in five years and am so so grateful that they have a spot on this earth. I wish I’d asked for footprints but didn’t. I sent a letter to my doctor afterward telling him it should’ve been offered even though I had a D&E rather than L&D. My son was cremated and his ashes spread by the hospital with those of other babies lost in pregnancy at that hospital. I don’t know if it was the right choice, but at the time it was all we could handle. It certainly doesn’t feel like the wrong choice. Nine months later I had a multifetal pregnancy reduction, and due to biology, that is very different and harder to explain. I wish I had known that I could have asked for hand and footprints. I didn’t ask for hand and footprints, but they got them for us along with a hospital bracelet, pictures, and a memory book. They were so wonderful and understanding, and I will be eternally grateful to the doctors and nurses that understood my grief and grieved with me. My son was cremated and had his ashes spread at his grandmother’s grave. I too wish I knew that I could ask for hand/footprints. It was never offered and I didn’t even think of it. I too wish I had known I could have done something or OMG footprints? It seemed like no one really understood why we were there. Thank you. Hopefully, this will be different for others with more awareness. A local funeral home picked up our baby’s remains from the hospital, I think on the same day I was released. A few days later we had his small service in the cemetery chapel, during a white-out blizzard which was very fitting. Seeing that tiny white casket was devastating. We only do closed casket in my family, and I remember wondering whether he was really in there. I wondered if they had really wrapped him in the blanket I sewed for him. I wondered if they had really included the family photo in a silver frame that was supposed to go in the casket with him. I had been so traumatized by seeing and holding him after 42 hours of post-KCL labor that I didn’t have the strength or courage to have them open the casket so I could make sure. It was the dead of winter in Michigan and the ground was frozen, so I don’t know when he was actually interred, but he is buried on his grandparents’ grave site and has his own headstone carved with a baby sleeping on a crescent moon. The hospital gave us his footprints. I think no matter how the remains are handled, there can be doubts. There is no “right” way or “perfect” way—just what we can handle at the time. Though I do not want to give you false hope, I do know that, at some clinics, for the ending of wanted pregnancies, they make footprints just in case the mother ever does come back and ask for them. I imagine it is somewhat uncommon, but it isn’t unheard of. Though it is too late to get footprints made now, it is never too late to ask if they were made in the first place. I’m going to see what the protocol is at the hospital where I had my termination. I think that it will be a helpful part of the healing process. Thank you for sharing your stories. Our babies may have left the world in different ways and for different reasons, but they now share peace and this gives me comfort. I had an L&D at out of state at 29 weeks. They seemed pretty well prepared in terms of helping people understand the options, probably because they perform a lot of late terminations of wanted pregnancies. I know we could have had her ashes sent to us, had footprints and handprints made, taken a blanket she’d been wrapped in home with us, and/or had a photograph taken. I think there was also a list of local funeral homes and they mentioned being willing to accommodate the beliefs and desires of the family regarding the body as much as possible. I’m really not sure how it would have worked though if we’d wanted to take her intact body home with us for a memorial service or burial in our state. We declined everything. I know her body was cremated, and I’m fine with not having her ashes or any physical mementos. My husband regrets not holding her, but he’s also fine with not having any physical mementos. I had a very late diagnosis which made it necessary to travel a vast distance to obtain safe and legal care. That was a great hardship, however, it did bring me to a wonderful clinic where they are used to cases like mine. My clinic offered me hand and footprints, the chance to view and hold my baby, and private cremation at a very reasonable price. I accepted all of these things, and I am glad that I did. They brought my baby to me a few minutes after the birth, all clean and still warm from my own body heat. She was whole and beautiful. I noticed the way she looked and the way she smelled, but my overwhelming reaction was a powerful sense that this was not my baby girl. This was only her body. So I did not pick her up. It felt like an unnecessary thing to do at the time. Later, when I was home and no longer in crisis, I began to wish that I had picked her up and held her. I yearned for the physical memory of my baby in arms. There were moments when the missed opportunity tormented me, but I have come to understand that, if it had not been this small thing, it would have been another small thing. When I feel a pang of regret, I try to bring myself all the way back to that recovery room and to remember how it felt to see my baby girl. It felt like she was already gone, and no amount of holding her in my arms would have changed that. I had another small regret, too. I realized that I didn’t know my baby’s weight and length. After a couple of weeks, I finally called the clinic and asked if they recorded that kind of information. They did, and they very kindly pulled out my file and answered all my questions. I still know her weight by heart. It helps to make my experience real. I think that it’s a common challenge, accepting crisis-mode decisions once the crisis is resolved and all the other nuanced feelings seep back into our awareness. In a crisis, you do what you have to do to survive, and you don’t ask a lot of extra questions. I probably would not have asked for a viewing or for my baby’s remains if they hadn’t been offered outright, even though I knew that I wanted these things. Learning to honor my crisis wisdom during my regular, everyday existence has been a major focus of my grief and recovery. It is a kind of self-soothing and self-honoring that takes a lot of practice and hard work, but it also brings with it a lot of peace. I wish this kind of peace to everyone who lives in the wake of a personal crisis. I had a D&E—the doctor used so many laminaria he would always try to deliver ‘intact’). Afterward, I held our son in a Moses basket. I don’t remember a discussion about what to do with remains other than they would take care of the cremation. A few weeks later we got a card in our mailbox that a parcel was available for pick up. We both went as the post office was in a local grocery store. We were presented with the biggest box ever and went home. We opened the box and inside was a smaller box …. and inside was a regulation mailing box for cremains …. like adult sized …. and inside that was about a tablespoon of ashes with a few “bits.” That was an awful lot of packing required for our wee son. My mom gave us an old family heirloom pillbox, crystal with a sterling silver lid, and Rowdy James is in there. We keep the heirloom pillbox inside a black leather hat box with all of our other memories of him. I had the L&D. After the induction began, the midwives spoke to me about what we would like done with the baby after he was born and gave me a list of options. I told them I wasn’t sure but I didn’t want to see him. Neither did my husband. In Australia, you only need to register birth/death after 20 weeks and I was 19 weeks. We felt like we didn’t want to take any of the options so I waited for the OB. We are Jewish (not particularly religious just traditional) and my OB happens to be Jewish so when she came in to check on me she actually informed us that she could arrange for the Jewish organisation that deals with burials to come and do whatever needed to be done. We chose that option. Again, because it was before 20 weeks, the man that came to collect the body told my husband that it is not a proper burial, that they would bury him the way they would bury a body part that was removed from the body and not in a marked grave. It sounds strange but for us, it was the best way. We knew he was in good hands and that spiritually they would do all of the right things but we didn’t have to deal with it. When he was born the midwife and my OB said he was “beautiful” but I couldn’t bring myself to look and neither could my husband. He had Trisomy 13 and weighed only 200 grams. As it was my first pregnancy I had dreamed of what he may look like (would he have my husband’s eyes or my hair?) and I wanted to keep that image in my head. I knew if I looked down I’d never be able to imagine him again. I chose a different hospital to where I would have delivered had the pregnancy gone to plan and I’m so glad I did because I’d never been to the hospital before and haven’t been there since. I wouldn’t even know how to get there. For me, it was just easier to compartmentalise that part of my life. A few days after the delivery, the man from the Jewish burial place called my husband to ask how I was doing. He also asked us for a name for the baby. He said we didn’t have to if we didn’t want to but he wanted it for his records. He is the only person who knows the name other than us. I occasionally take out the memory book and I am grateful for the footprints even though I didn’t initially ask for them. They’re so tiny and looking at them reminds me of everything my husband and I endured together. Our son was born in high summer. We met the funeral director near the hospital morgue and we took our boy there with us from our room. By law, a body can only be released to a funeral home here so he took our tiny boy in a baby capsule/car seat in his car and waited in the hospital entrance. We drove behind him to the funeral home (the closest one to the hospital and they were very compassionate, understanding, co-operative and helpful) and signed all our papers, placed our child in his tiny handmade coffin our friend made for us and drove him home. We had him wrapped as you’d wrap any newborn. My friend had sewn long silk strips of silk, all hemmed and ironed, to wrap his belly in (he had no belly wall and his insides were out) and then she’d made a silk wrap to swaddle him in. We had him at home with us for five days and we had to keep him in the fridge. He spent long periods of times in the lounge room with us and we surrounded him in ice packs and kept the house as cool as possible. But we also wore him and lay with him and held him a lot. I was frightened of him losing his sweet baby smell. But he didn’t. He changed over the week, although we oiled his skin every day, he did dry in his joints and went from a plump new baby to a little old man over that week as he had his whole “life” with us. We slept in the lounge that week all four of us while he lay in his coffin in the fridge. We did what we had to do and it was ok that the fridge became his bedroom. We stayed very close and quiet for the week. It was spectacularly special and beautiful and so so sad and hard, what I processed that week I thought impossible. I didn’t think I’d ever be able to let his body go when we left the hospital but when the day came to cremate him I was honoured to do it for him and turn him to ashes. We drove to my mum’s and took photos one last time, then on to the cemetery where we parked out the back in the workmen’s area and did our last preparations. More photos. More last holds. He still smelled sweet and lovely. We each ripped off a fingernail and a hair and placed it in his coffin with him so part of us would be forever mingled with him, our ‘essences’ together. We each had a turn hammering a nail into his coffin lid and then we took him to the back door with our papers and handed him over. Hats off to the poor man who copped the grieving family at the door. I showed him how to hold the coffin properly and asked him to treat my baby as if he were his own when moving this coffin about. The coffin was 26cm long. He needed these tips. We spent the day in the city waiting to pick up his ashes. A horrible day in the city—I just remember feeling glad it was over 40°C and feeling sure it was because my child was burning that we could all feel it. My child’s ashes are still in their plastic bag. We have made many plans to use them but haven’t done anything and I think it’s because of the plastic bag. I’m not ready to scrape my child’s remains out of a bag, I cannot leave one skerrick of him in that bag. How will I throw that bag away? What do I do with the bag? So it sits there, in our shelf in the lounge with many other things to honour him: photos of him, symbols of him, footprints, paintings my daughter did at the time and more. We have tattooed his footprints on our wrists and each day we check the sunset to see what spectacular show he’s putting on for us.